This autumn, Foam presents #SafePassage, an exhibition by Chinese artist and activist Ai Weiwei (b. 1957, Beijing). Having left a life of constant government surveillance, the artist feels a personal affinity with the growing influx of refugees attempting to enter the EU. Since his first visit to the Greek island of Lesbos in December 2015, he and his team have travelled to refugee camps all around the Mediterranean, including those in Syria, Turkey, Italy, Israel and France. The exhibition deals with the struggle between the individual and the systemic structures that dominate society. 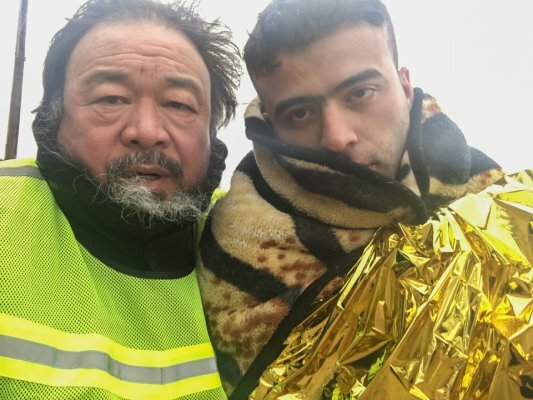 It will highlight both the experiences that prompted Ai Weiwei to leave his homeland and the experiences of hundreds of thousands of refugees and migrants; people who continue to risk their lives to reach Europe, often to find their path barred by arduous asylum procedures and xenophobia. Widely regarded as the most important contemporary Chinese artist, designer and curator, Ai Weiwei is a leading social and cultural commentator, a champion of human rights and democracy, and a tireless, outspoken critic of the political system in China. He has repeatedly investigated government corruption and cover-ups, making him a constant thorn in the authorities’ side. In 2011, following his arrest at the Beijing Capital International Airport on 3 April, he was secretly held for 81 days without any official charges being filed. During his imprisonment, Ai was constantly interrogated and placed under twenty-four hour supervision, accompanied by two guards who never left his side, even when he used the toilet or slept. After his release, his passport was confiscated and he was forced to stay in China, where the authorities continued to watch his every step. Whilst under surveillance, Ai Weiwei sought to regain a sense of control, as well as to challenge and invert the constant invasion of his privacy. 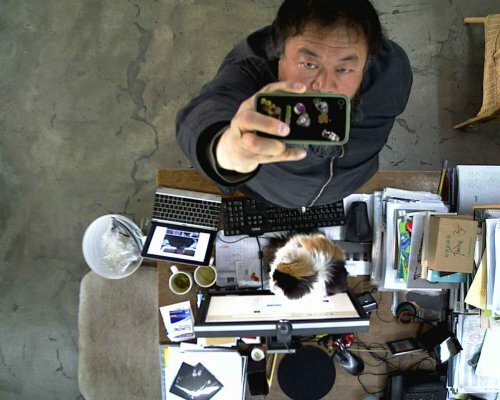 He began a series of experiments, from a livestream of his life through four webcams mounted in his studio that could be viewed worldwide on the website weiweicam.com, to blogging – both taken down by the government. Foam Magazine #43, released in December 2015, was dedicated entirely to the theme, ‘Freedom of Expression under Surveillance’. Ai Weiwei himself was the guest editor and focal point of the issue, comprehensively documenting this important and dark period of his life. #SafePassage will begin with works reflecting on the artist’s personal experiences of life under surveillance as described in Foam Magazine #43. Ai’s passport was eventually returned to him in July 2015. Shortly afterwards he left for Europe, to settle in Berlin where he now has his studio. He continues to use the strategy of ultimate self-surveillance through the almost endless stream of images he posts on Instagram, enabling anyone with an Internet connection to follow him from day to day. 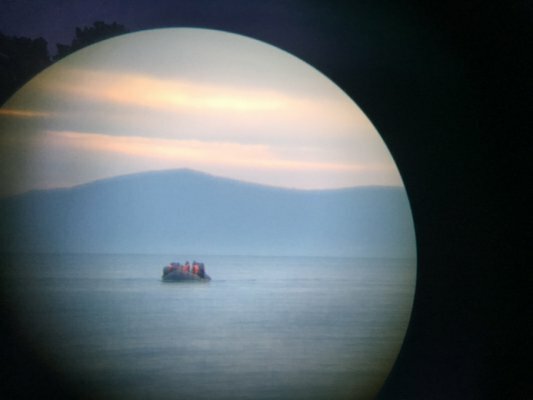 Since his first visit to the Greek island of Lesbos in December 2015, his Instagram feed has functioned as a de facto real-time newswire as he and his team travelled to refugee camps across the Mediterranean. In the second part of the exhibition, the walls of Foam will be plastered with thousands of pictures he took with his mobile phone, mostly candid shots which provide a sense of the living conditions within the camps. The immense collage reflects on the vast array of personal encounters the artist had with individuals in refugee camps, further underlining the scope of this crisis. Ai Weiwei’ s images will be accompanied by a selection of his iconic marble sculptures and a selection of video works amongst which: Chang’an Boulevard (2004), which documents the road that dissects Beijing in half on its east-west axis, and On the Boat (2016), in which we see the artist on an abandoned boat in the middle of the ocean. 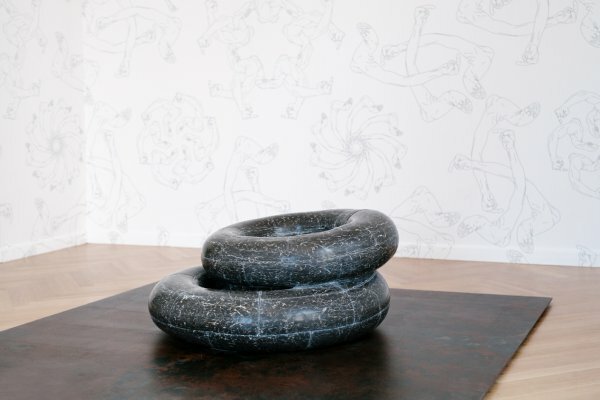 Ai Weiwei is best known for his sculptures and large-scale installations, which conceptually bind traditional cultural crafts with contemporary political messages, linking historical roots, materials and paradigms with topical questions in contemporary society. As well as having presented major exhibitions and pavilions all around the world, Ai is also an architect, writer, filmmaker, philosopher and political activist. From collaborating with Swiss architects Herzog & de Meuron as the artistic consultant on the Beijing National Stadium for the 2008 Olympics to investigating government corruption, Ai Weiwei’s practice is inextricably linked with the state of contemporary Chinese art and society. This exhibition is made possible with support of the FFFCVM Foundation and De Heus-Zomer collection. The exhibition #SafePassage by Ai Weiwei is open from 16 September until 7 December 2016 in Foam Fotografiemuseum Amsterdam. Open daily from 10am – 6pm. Thu/Friday 10am – 9pm.